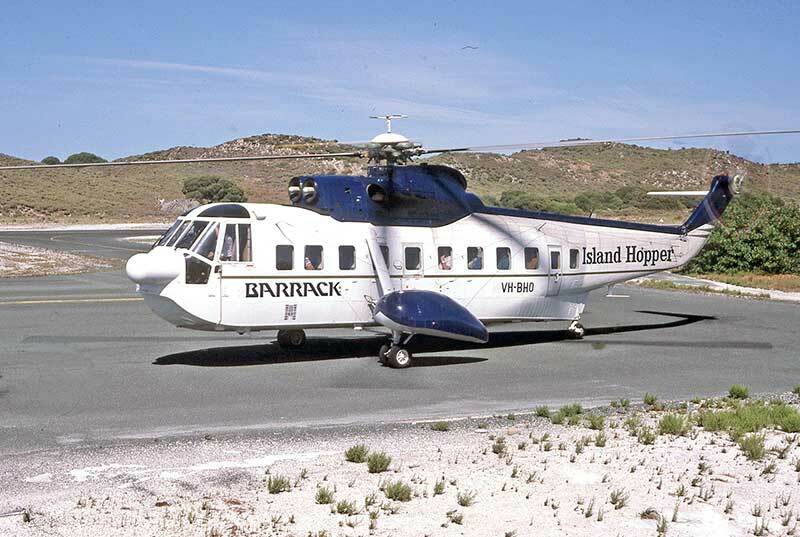 introduced on the prime scheduled services from Perth to Albany, Esperance, Norseman and Kalgoorile. 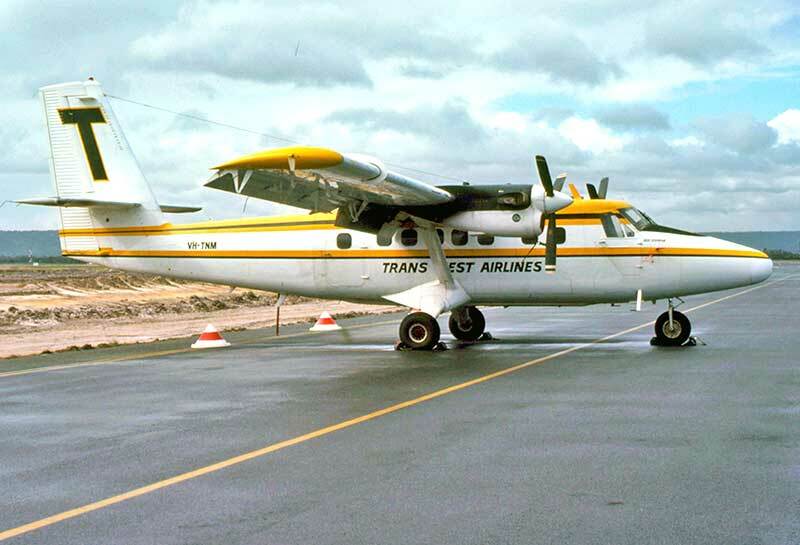 Here's Metro VH-SWO Town of Esperance parked at the airline's Perth terminal, which still displays the CFS name. 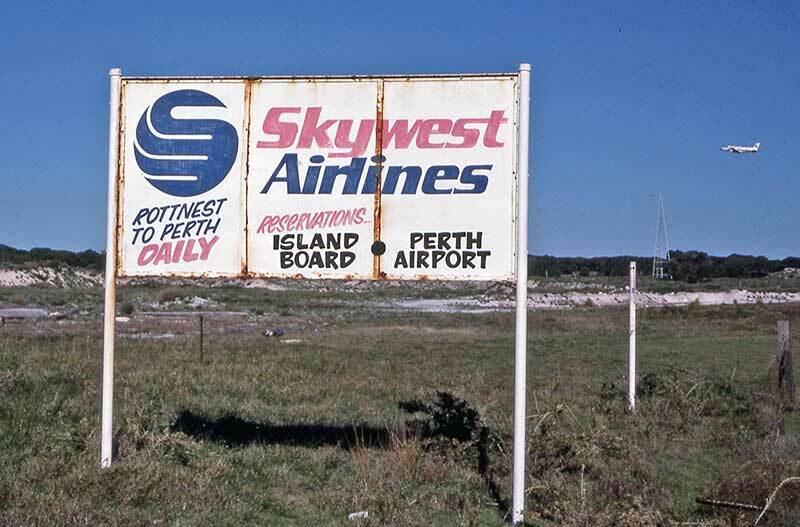 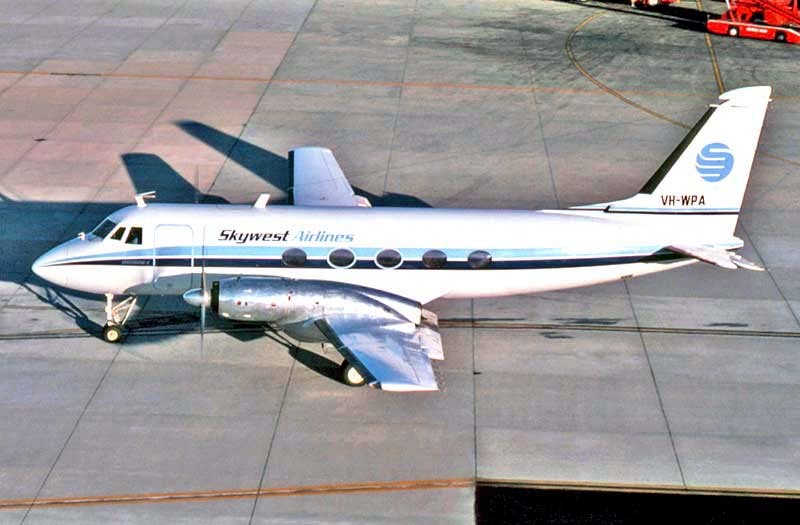 In February 1980 Skywest Airlines was formed by the merger of Perth-based Jet Charter Air Services and Stillwell Airlines. 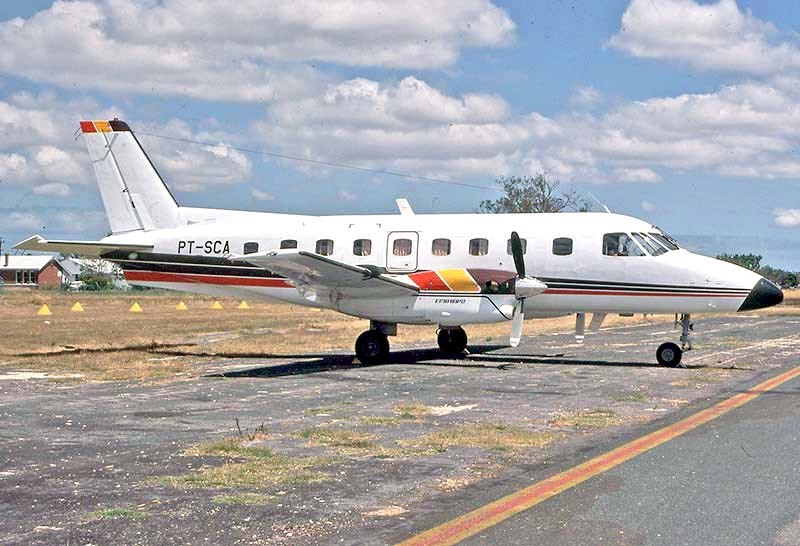 Skywest commenced scheduled services on a diverse route network: Perth to Bunbury, Rottnest Island, Albany, Esperance, Kalgoorlie, Norseman, Yeelirrie, Wiluna, Telfer, Meekatharra, Cue, Mt Magnet - and from Karratha to Mount Tom Price, Paraburdoo and Onslow. 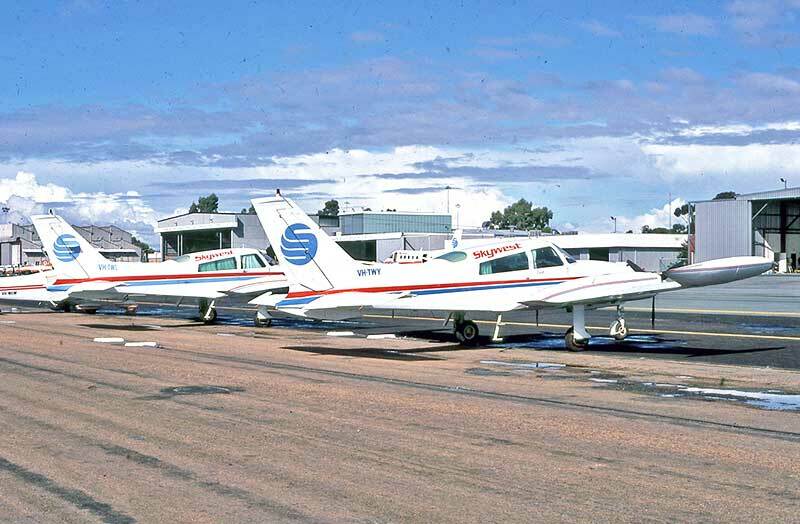 High over Perth in October 1980, former Jet Charter Citations VH-WNZ & -WNP show off their Skywest Airlines markings. 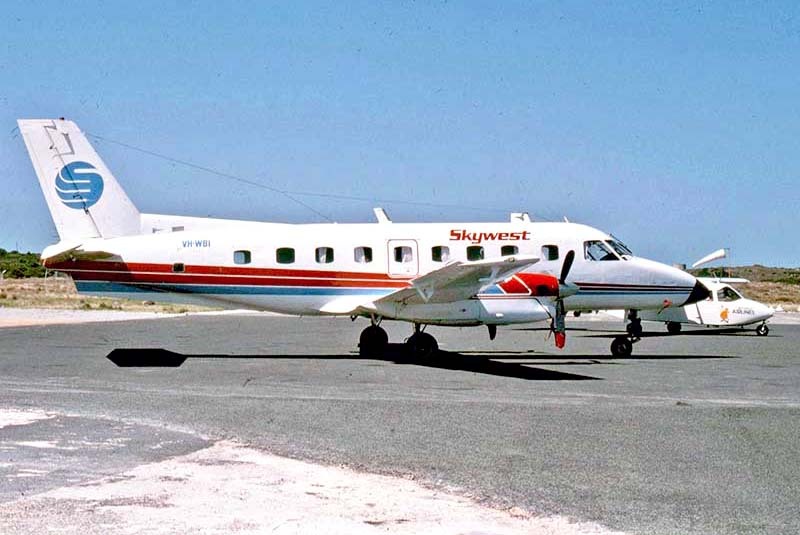 prime airline routes to Esperance and Albany. 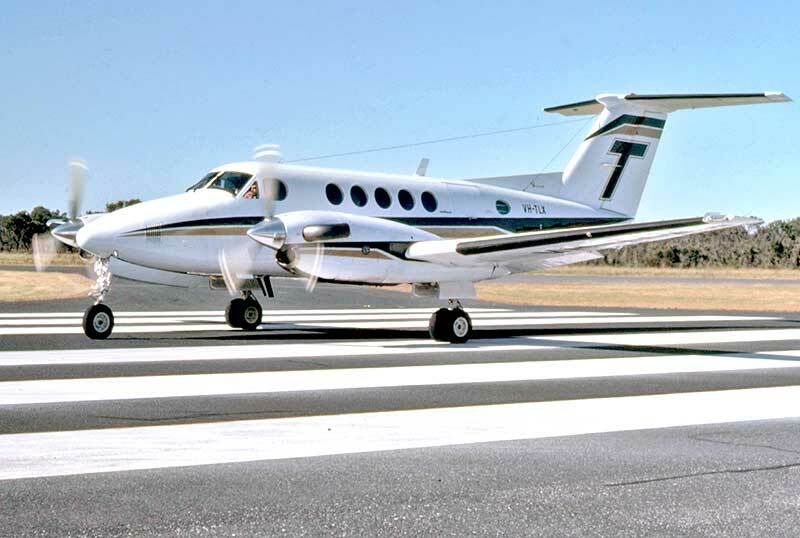 Two former corporate executive transports were ordered from USA. 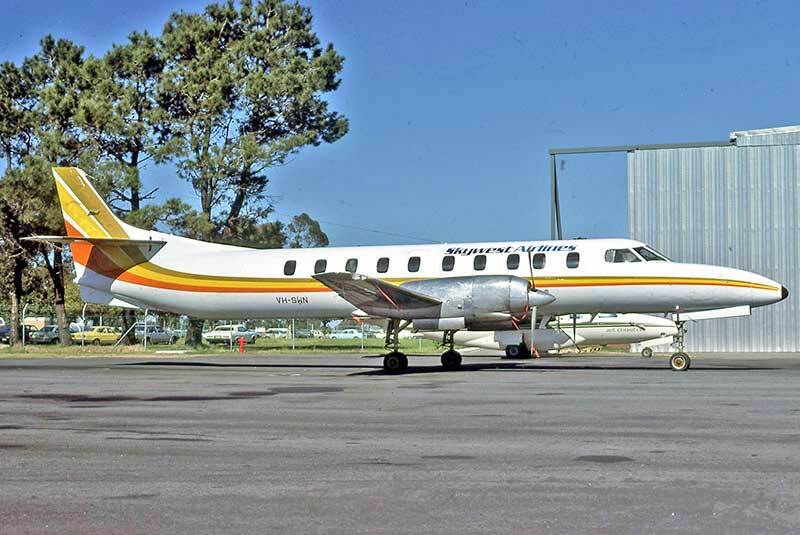 VH-WPA displays her stylish lines as she passes Perth Tower while departing on an Esperance service in April 1982. 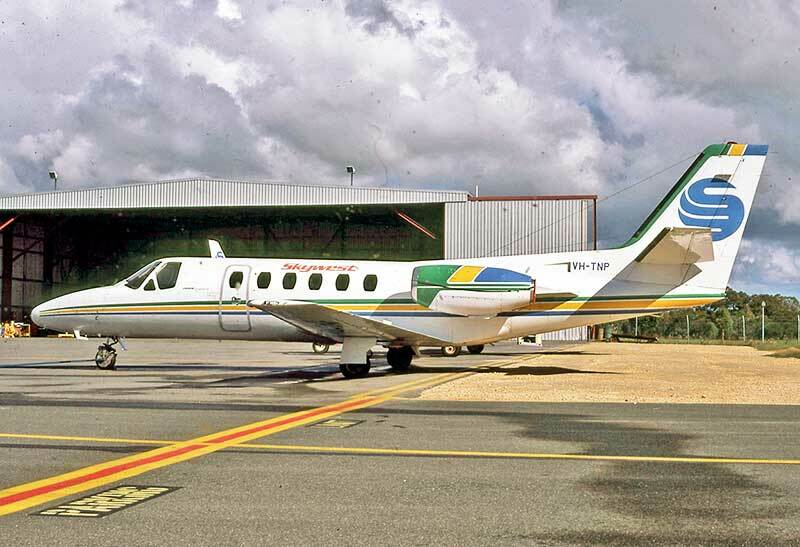 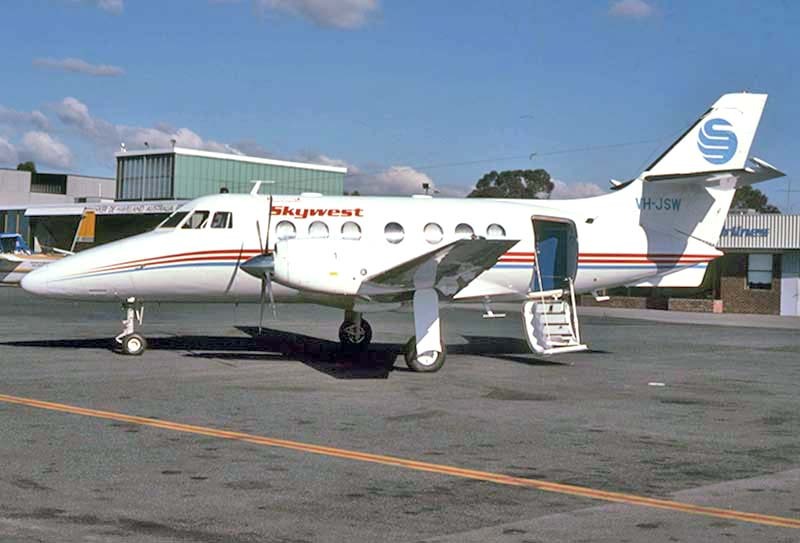 Trans West Air Charter operated Beech King Air 200s on charter and mining company contracts in the north of WA. 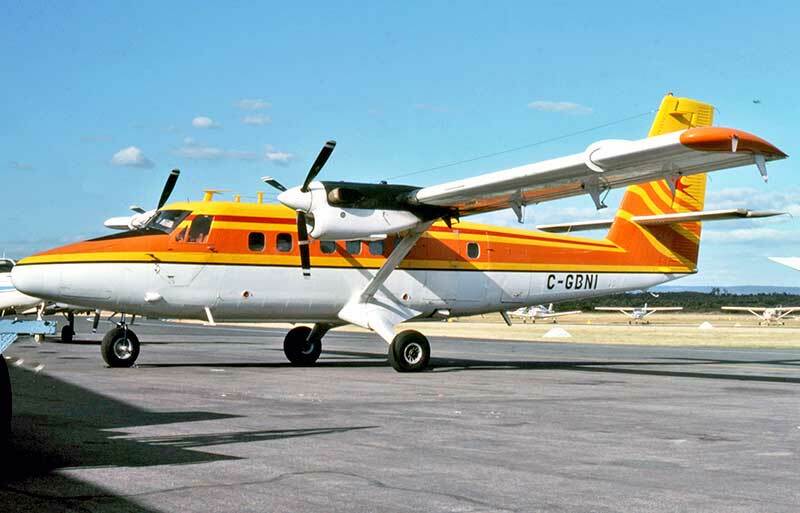 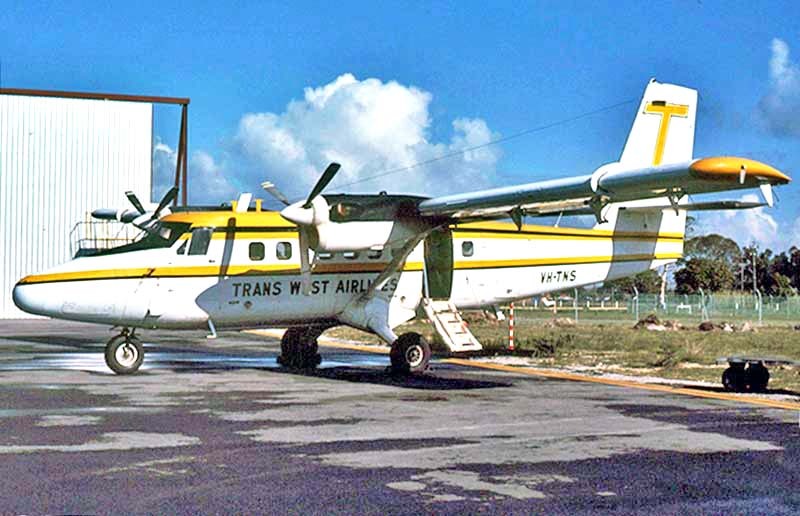 Trans West Airlines purchased two DHC-6 Twin Otter 300s in Canada to be used on mining contracts in the north of WA. 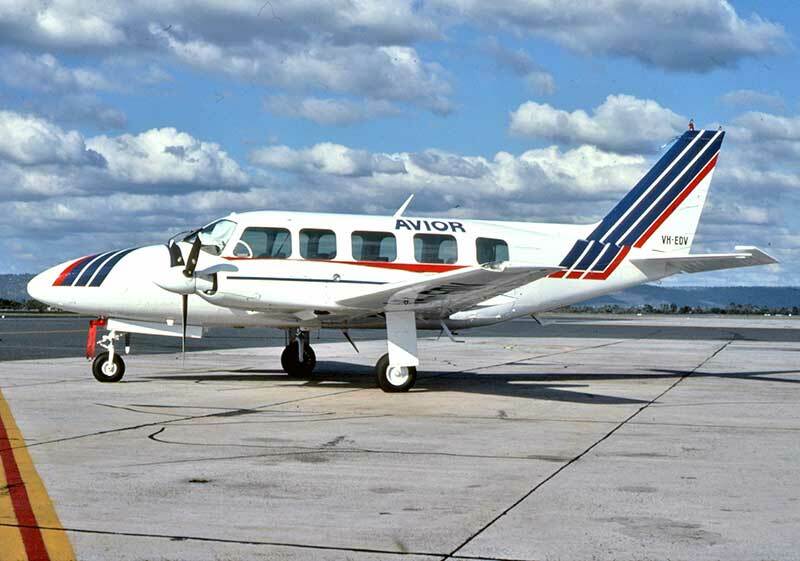 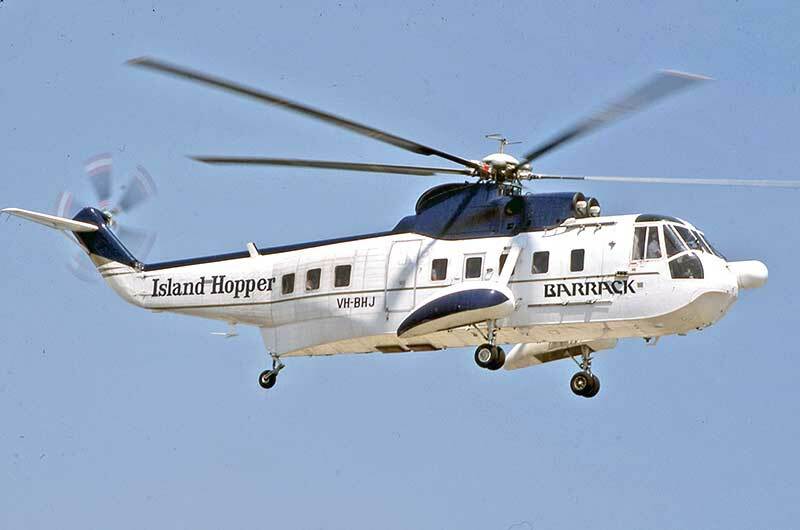 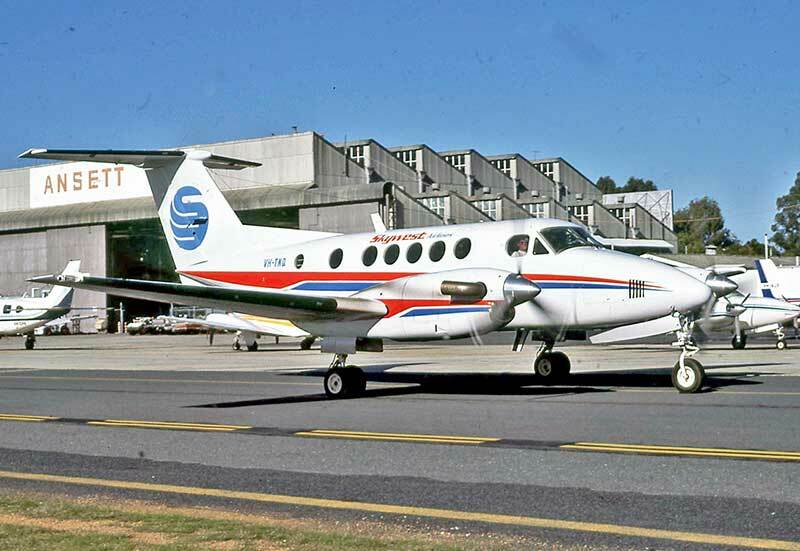 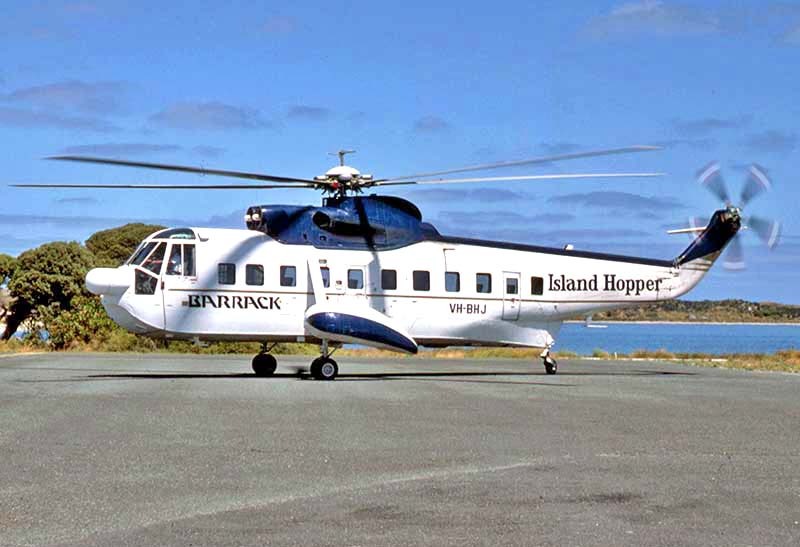 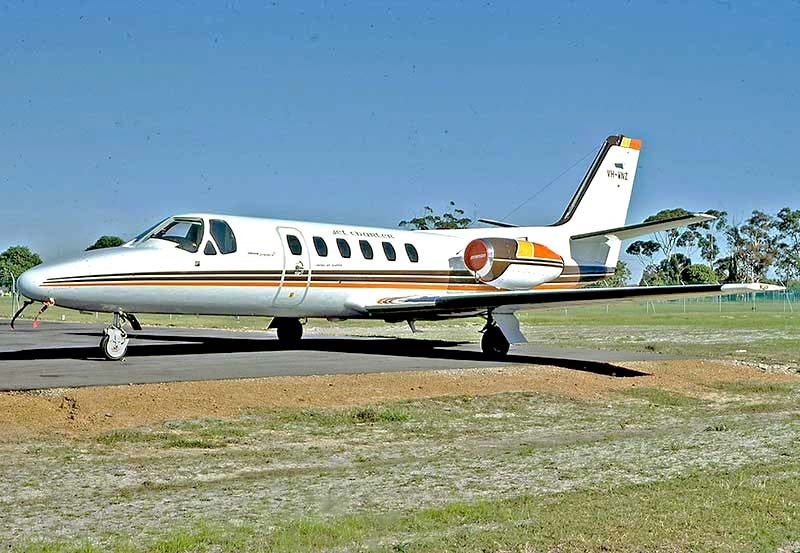 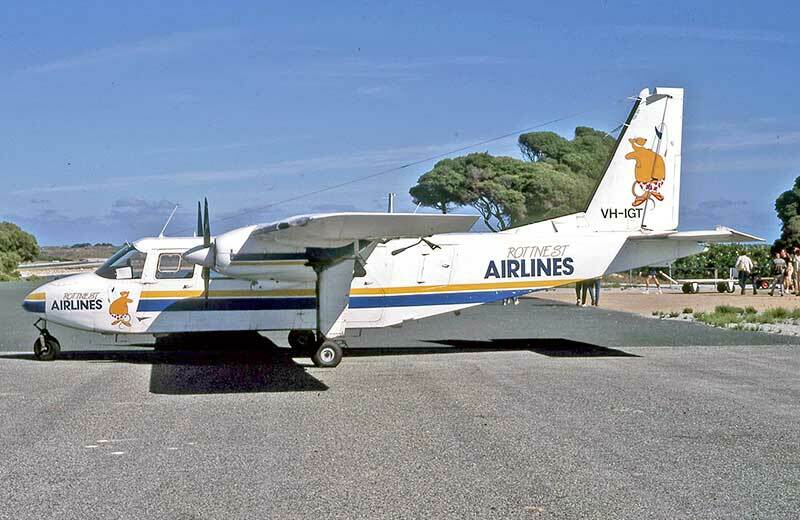 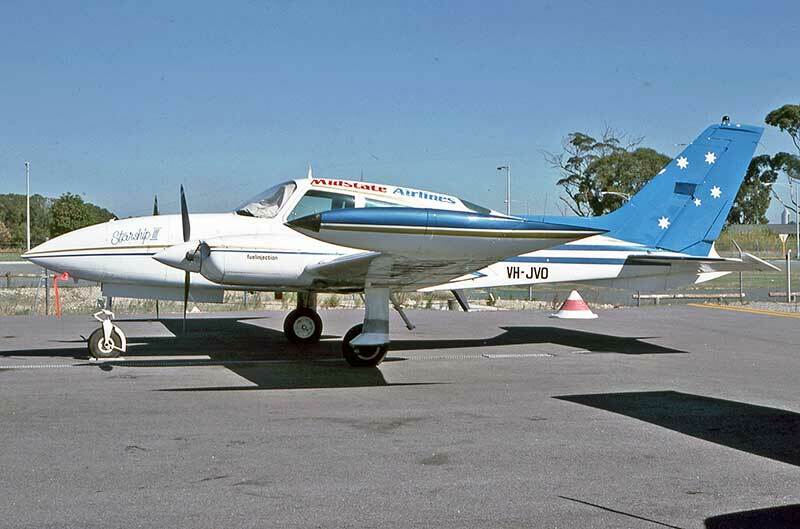 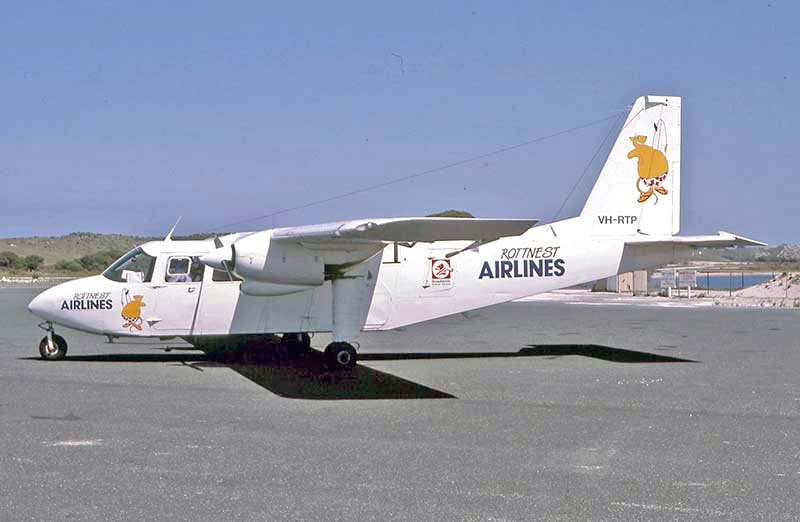 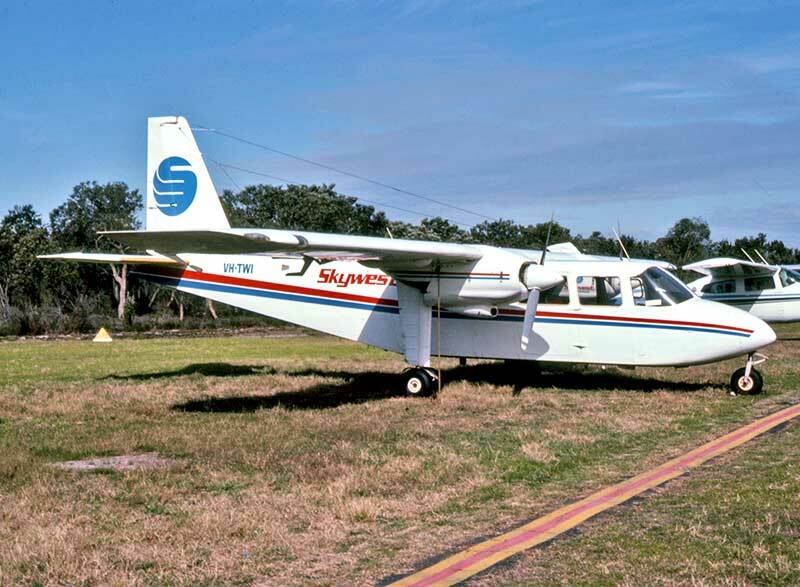 Rottnest Airlines provided high-frequency Perth-Rottnest Island services with three Britten-Norman BN-2A Islanders. 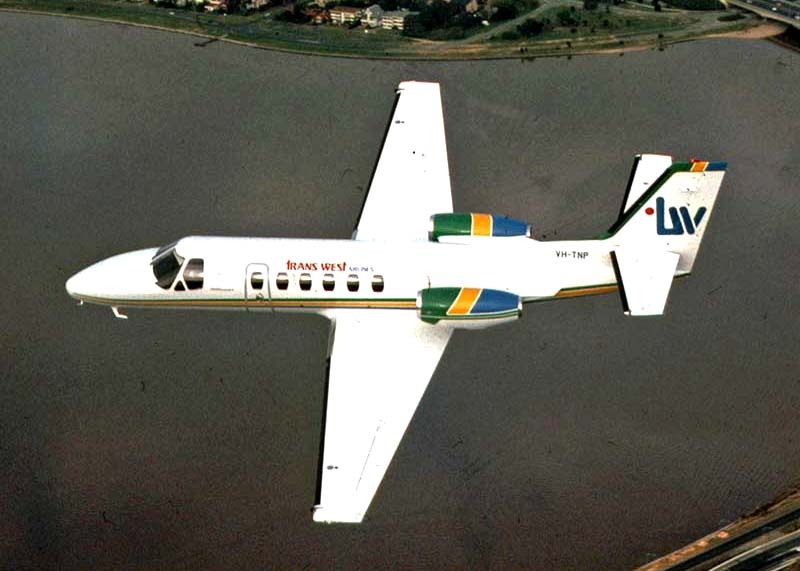 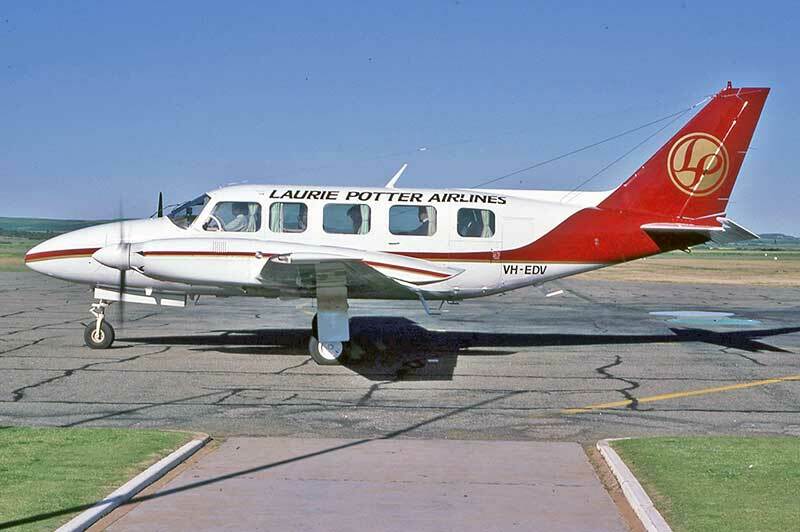 Laurie Potter Airlines was formed in 1987 by the Laurie Potter Health Studios group in Perth to take over Avior Airlines. 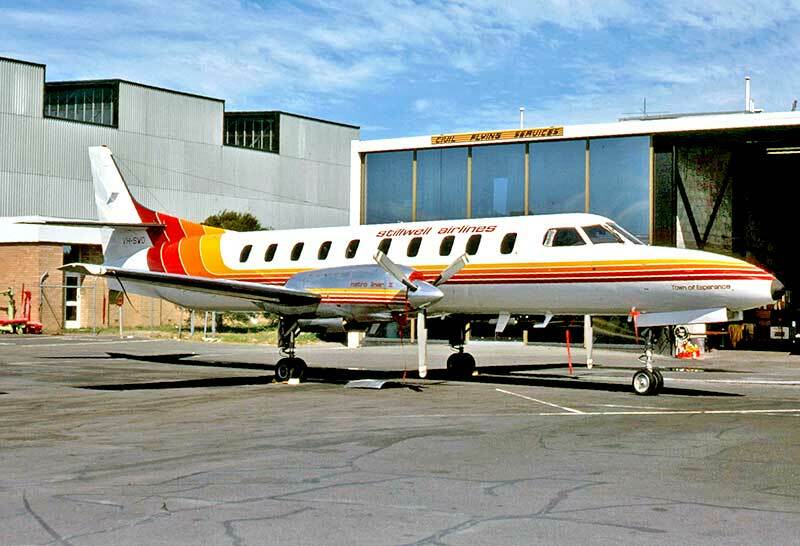 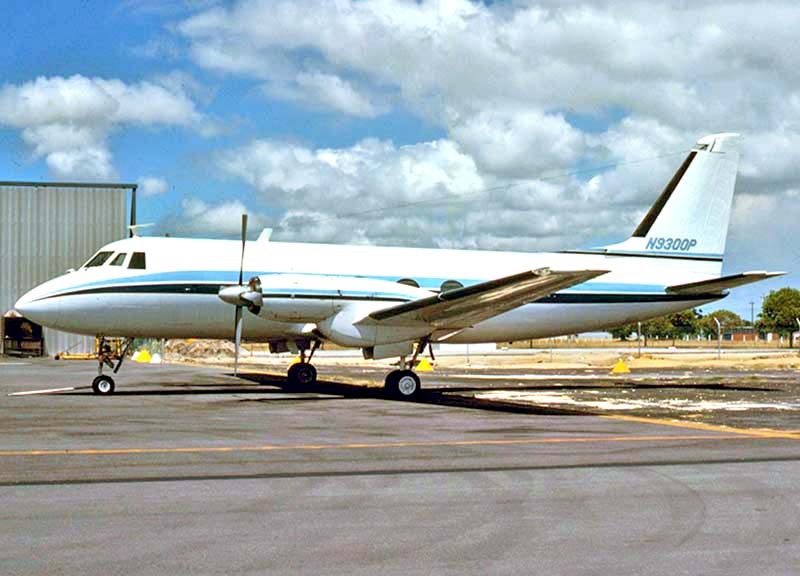 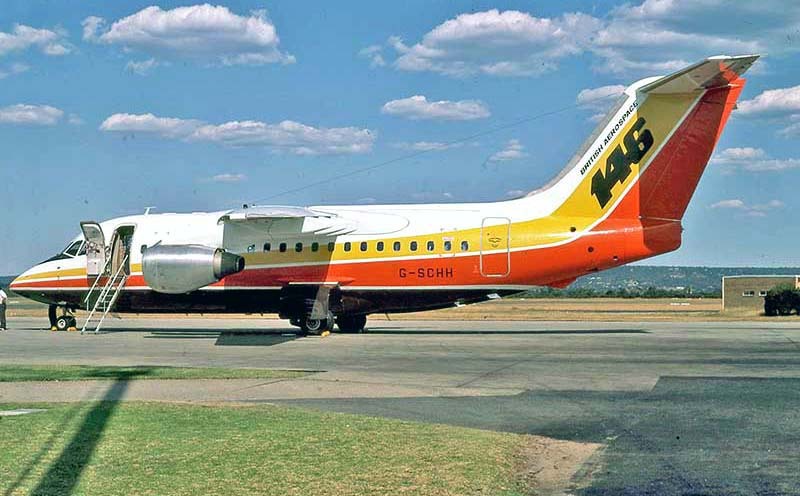 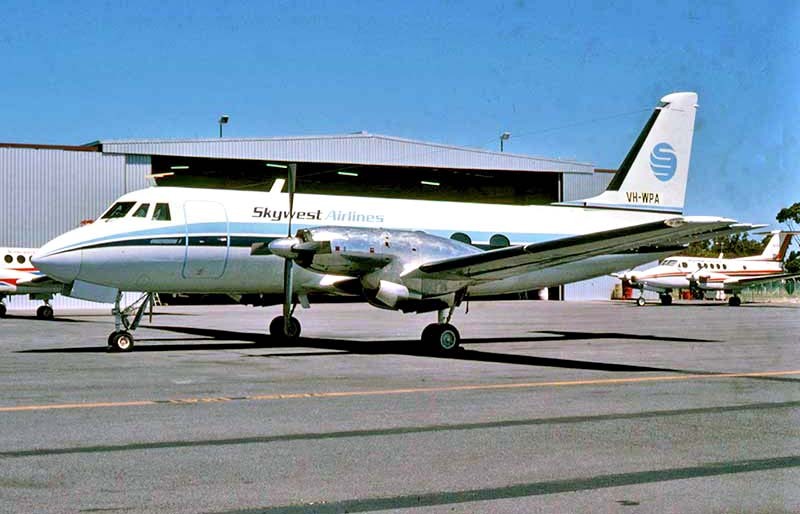 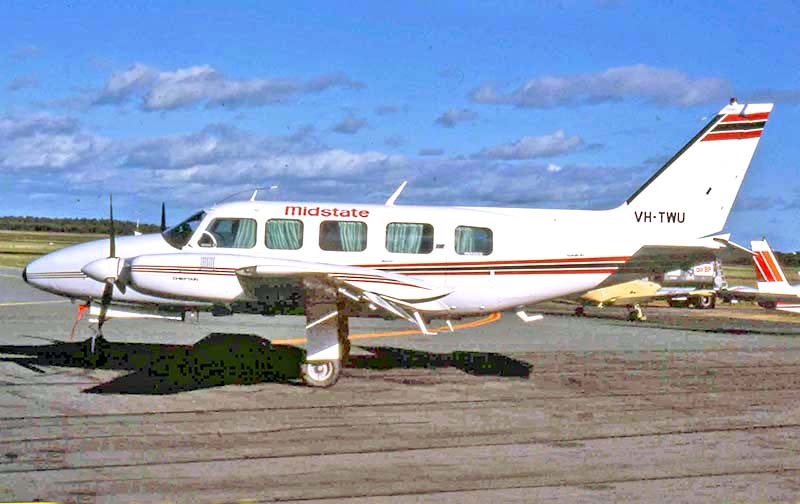 New operator Midstate Airlines took over the Perth-Bunbury route from 1st July 1986 after Skywest dropped the port. 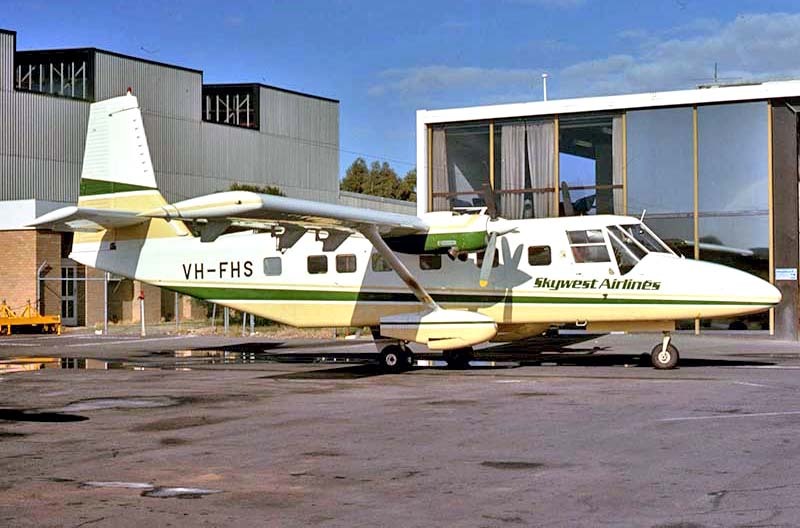 service using two Ansett Airlines Sikorsky S-61Ns which had been retired in Melbourne for two years. 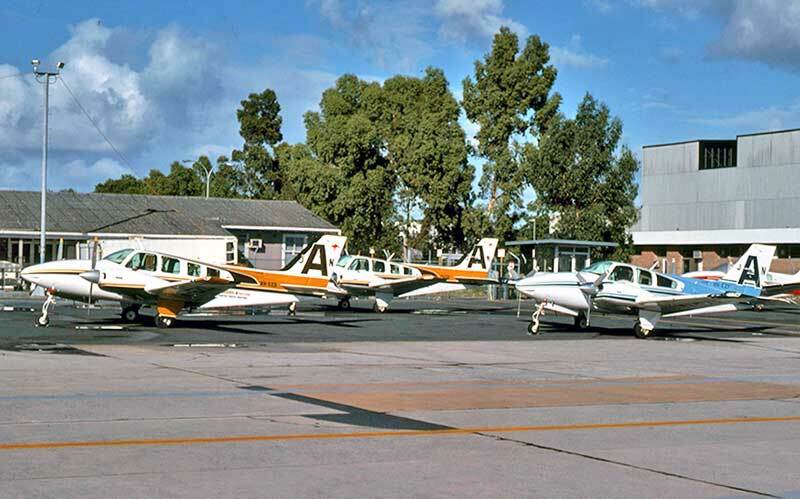 Rottnest Island airfield January 1987, with a Skywest Bandierante departing for the 20 miles fight to Perth Airport.